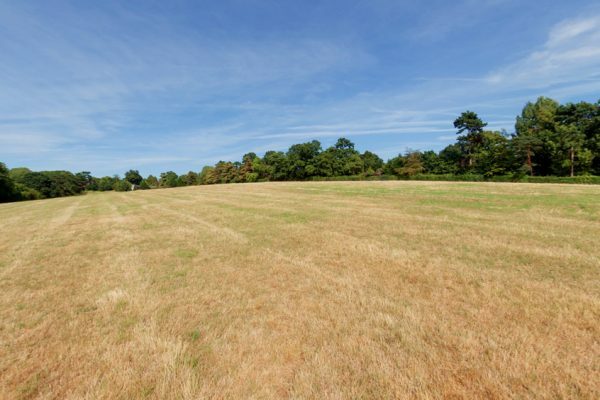 This 8 acre site commands impressive views across the London skyline. 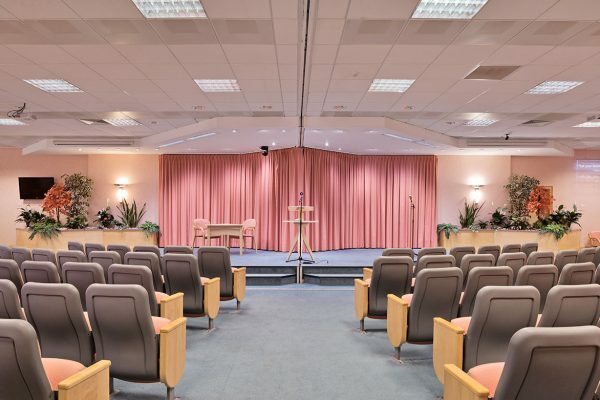 With existing access off The Ridgeway, the elevated part of this site also features a large and very well appointed conference centre currently serving as a Kingdom Hall of Jehovah’s Witnesses. 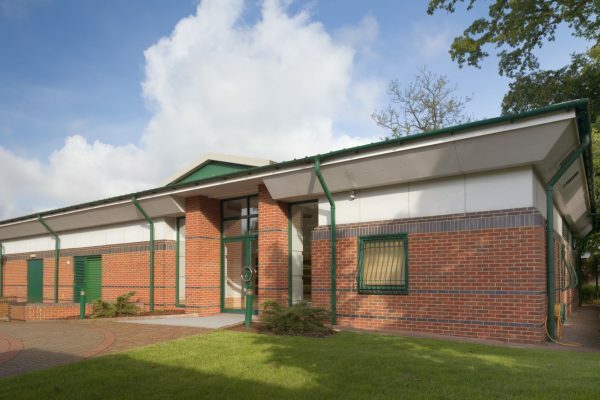 Separated from Watch Tower House only by a public footpath, the site occupied by an open field and the Conference Centre development has a total size of some 8.3 acres. Located fully in the Green Belt and within a conservation area, the site stretches south from an access point off of The Ridgeway. The frontage onto The Ridgeway is approximately 45m, and the whole site lies outside of any flood plain. The southern boundary of the site backs onto the rear of semi-detached and terraced houses in Rushden Gardens, on the eastern boundary behind the public footpath is the live/work Watch Tower House development. To the west, the boundary is shared with the Adam & Eve public house, some open land and also the rear of houses in Woodcote Avenue. 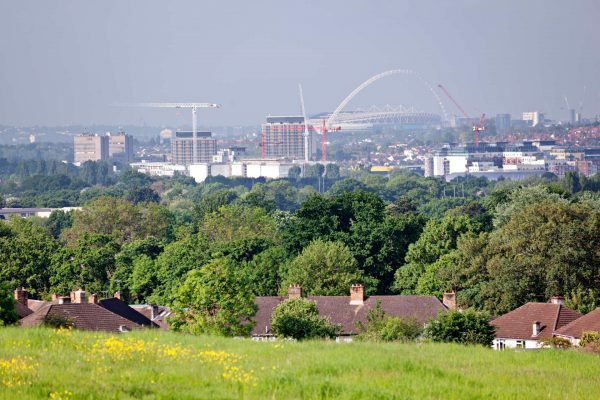 Due to the elevated nature of the northern part of the site, some impressive views over the north west London skyline can be seen. Such views underline the original meaning of the term ‘Ridgeway’ which historically refers to ancient tracks that run along the high ridges of hills. 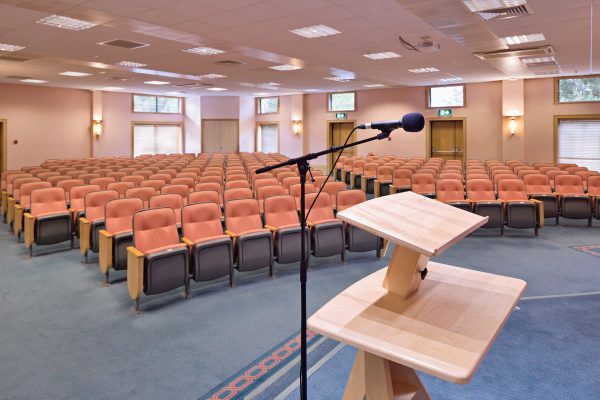 The conference centre to the north of the site just off of The Ridgeway can seat over 300 people in comfort. This highly specified building has its own sound system and video facilities, and the auditorium can also be divided with a movable acoustic wall. The building is currently being used as a Kingdom Hall of Jehovah’s Witnesses. The combined area of the open field and Watch Tower House is some 16 acres. View pictures of the open land adjacent to Watch Tower House and also the conference facility currently being used as a Kingdom Hall. 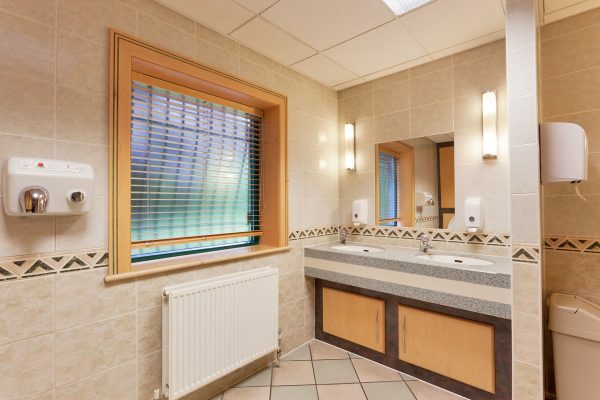 Internal pictures of the Kingdom Hall indicate the high standard of finish and maintenance. With access provided from The Ridgeway, and development already existing on three sides, it could be concluded that some development potential as an infill site exists, subject to the necessary permissions. The National Medical Research Centre is located some 250m north of the site entrance and is currently the subject of redevelopment proposals to provide housing, employment and community facilities, and thus the area is clearly developing a more vibrant identity. Further to the south down Bittacy Hill lies Mill Hill East underground station. To the north along The Ridgeway, there are a number of renowned private schools, and next door is the family friendly ‘Adam & Eve’ gastropub.